(Press Unit in the Office of the Prime Minister) – St. Kitts and Nevis’ platinum branded Citizenship by Investment (CBI) Programme continues to be an important contributor to Non-Tax Revenue, and also adds significantly to the overall performance of the Federation’s robust construction industry. That was disclosed by Prime Minister Dr. the Honourable Timothy Harris during his presentation of the 2018 Budget Address earlier today, Wednesday, December 6, 2017. 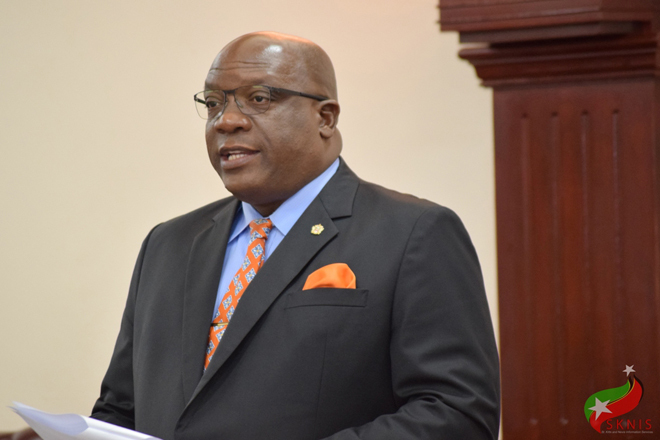 Prime Minister Harris said his Team Unity Government will continue to find new and innovative ways to keep the Federation’s CBI Programme highly competitive in an increasingly competitive industry. The Federation’s Citizenship by Investment Programme was recently awarded as the World’s Most Innovative Investment Immigration Programme at the Global Citizen Awards Ceremony in Russia. This international accolade came after the Government introduced the six-month Hurricane Relief Fund as a third option under the CBI Programme. Funds raised via this third investment option will help foot the over $150 million bill which the Government of St. Kitts and Nevis faces to rebuild key public infrastructure, which suffered damage during the passage of the two category five hurricanes, Irma and Maria. Under this initiative, which runs for a period of six months, foreign investors under the CBI Programme can make a non-refundable contribution of US$150,000. These reforms include the hiring of IPSA International, a regulatory risk mitigation company, to do a comprehensive overhaul of the country’s citizenship programme, as well as new management for the CIU, the introduction of a 24/7 case management system that allows for round-the-clock, real-time monitoring of the status of CBI applications, the employment of additional due diligence providers with specialist knowledge of particular countries and regions, and increased partnerships with friendly governments such as the United States, United Kingdom, Canada and the European Union.